Peugeot’s XRC concept car There’s a reason that little tykes are obsessed with drag racing remote controlled cars over curbs, into mud puddles and generally wreaking havoc on the neighborhood. They’re fast. They’re versatile. They’re indestructible. 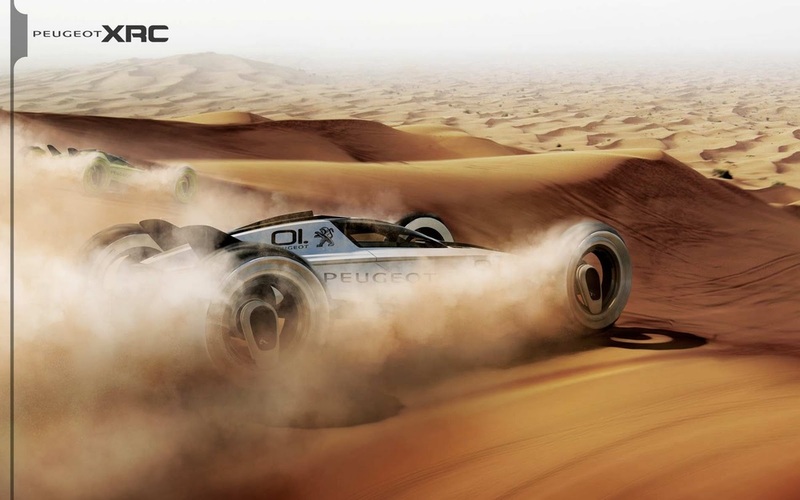 Peugeot’s XRC concept car is like one such coveted remote-controlled cars, only blown up life-sized and built to be rallied. The fundamentals are similar, but the Peugeot XRC packs a punch. This baby is one of a kind, forged to surf deserts and tackle tough terrain. Dreamed up by CGI specialist Tiago Aiello, the vehicle mimics a typical RC car and yet the unique design takes on a life of its own, an almost arachnid-like quality. One thing’s for certain, if the concept car takes life there will masses of middle-aged men across America reliving their youth like nobody’s business. Diesel & Ducati Create a Monster!